Plastic Cleaning | How to Clean Plastic Utensils! : How to Clean Plastic: Melamine Kitchen Ware! Plastic Cleaning | How to Clean Plastic Utensils! How to Clean Plastic: Melamine Kitchen Ware! Melamine is a type of plastic that can be found in the kitchen. It is used to make plates, bowls, cups, forks and spoons. Melamine is also used for dinnerware, mixing bowls, laminated counter tops, and other items. Avoid exposure to hot objects, and prolonged exposure to boiling water. Stains on the plastic can be cleaned with commercial cleaners made for the plastic melamine. Never use scouring powder or any other abrasive. Plastic Melamine dishes that have chips, cracks, and scratches can be cleaned, but burn marks cannot be removed. The absolute safest way to cleaning plastic melamine kitchenware them is just plain warm water. As you can imagine, that doesn't always clean the plastic cups/dishes thoroughly. Another method to clean and disinfect the plastic dishes is to soak for 10 minutes in a mixture of 3/4 cup of bleach to a gallon of water. Make sure you stir the water a few times before putting in the plastic dishes, so the bleach is dispersed evenly. Do not mix bleach with dish soap, as dish soap contains ammonia, and mixing the two can create some potentially dangerous gases. Another safe and effective method for cleaning melamine plastic kitchenware is a mixture of liquid dish soap and warm water with a soft cloth. For removing grime in the "corners", use a soft toothbrush. Start brushing away the dirt. The stuff in the raised lettering on the bottom is tough to get out, and requires some patience and maybe a stiffer toothbrush. Never wipe off excessive dirt or dust with a dry rag. This will scratch the dishes. Rinse with warm water and use the soap, then wipe lightly. Cleaning plastic dishes with caked-on dust can be succesful with just a warm water rinse and soap. The residue from price stickers, scotch tape, masking tape, etc, is best cleaned from melamine plastic plates using mineral spirits or paint thinner. Thinners and mineral spirits aren't great, but work well if that's all you've got. Just don't get sloppy; put some on a paper towel or a soft cloth and rub lightly. Soap and rinse immediately afterwards. Grease pencil and magic markers are a huge problem, especially if they've been on the dishes for a long time. Clean as soon as possible, as it appears the longer it's been on the dishes, the more of a chance the grease and marker will permeate the finish, leaving a "ghost". It's more of a problem on the whites, yellows, pastels, etc. than on dark colours. Mild doses of bleach can be used for removing markers and grime, but don't leave it on too long as it will discolour dishes quickly. Anything that'll eat the label off it's own container (bleach) is something to watch closely, and guard against. Try putting it on the dishes, let it set for just a minute or so, then start brushing lightly with a soft toothbrush. Usually this is enough to loosen any dirt or grime and dissolve any markers. One can attempt to remove the stains using these plastic cleaners specially for the plastic Melamine kitchenware e.g. Mr Clean Magic Eraser. There are other precautions to be aware of when using bleach; i.e., use gloves if you have sensitive skin, remove jewellery to avoid oxidation, and wear old clothes for splashing accidents. Be sure to rinse the dishes well after either of these treatments. Do not use melamine in a microwave as it absorbs heat and can get hot enough to soften, blister, and crack. Again, never use abrasives as even the mildest of scouring pads is too abrasive. Try using toothpaste . Using abrasives will result in the destruction of the original sheen and cause irreparable surface scratching. 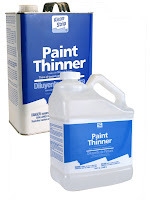 Never use thinners on polystyrene or polyethylene dishes! While cleaning melamine tableware is not tough, once it gets discoloured with frequent use and washing, it loses its appeal. Since scratches and burn marks cannot be removed from it, perhaps the best solution is to throw out the damaged pieces. Melamine cover, you may like it. Melamine Crockery is becoming very famous for cooking business along with Bone China crockery because to its durability. We are the Colored Crockery supplier.